Custom made bespoke trophies are something we will always consider producing if it meets our clients needs and is commercially viable. 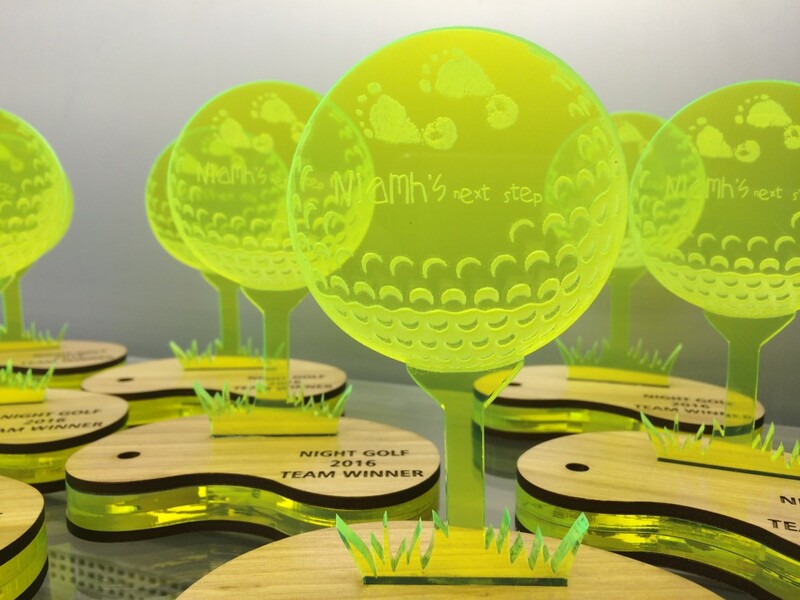 When a charity like Niamh's Next Step organised an unusual event such as 'Night Golf' and everyone plays with green, neon golf balls, there has to be an opportunity for a matching trophy! We can cut and create a wide variety of shapes from Perspex or wood and make unusual trophies for you. If you have an idea or a design why not get in touch and we might just be able to turn it into a reality for you.